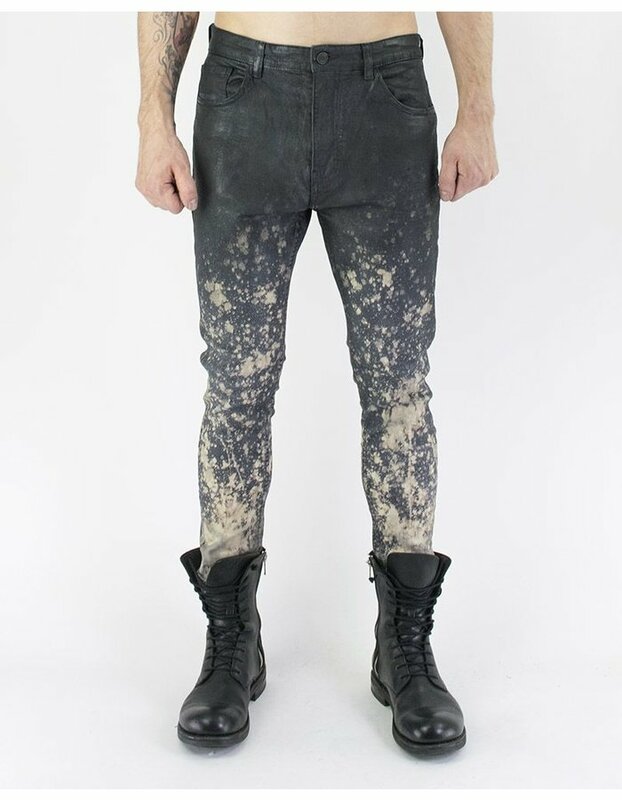 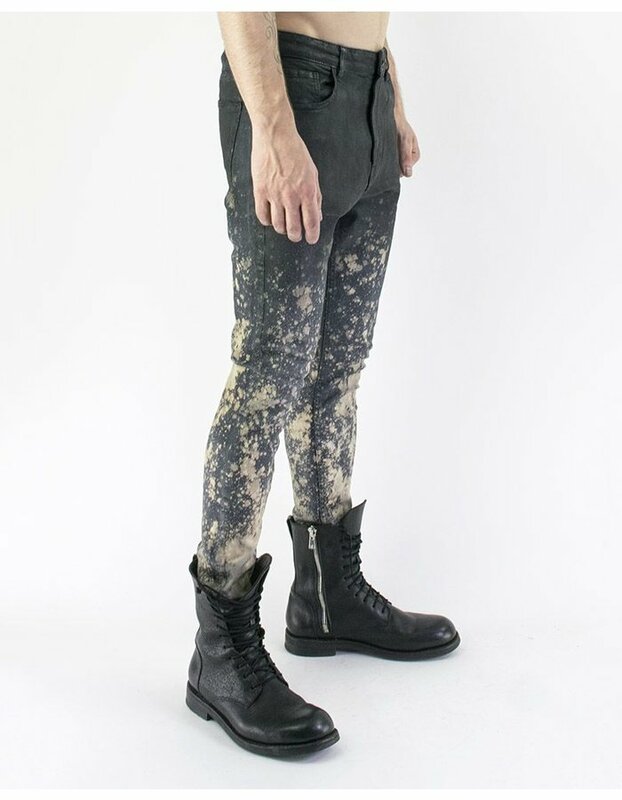 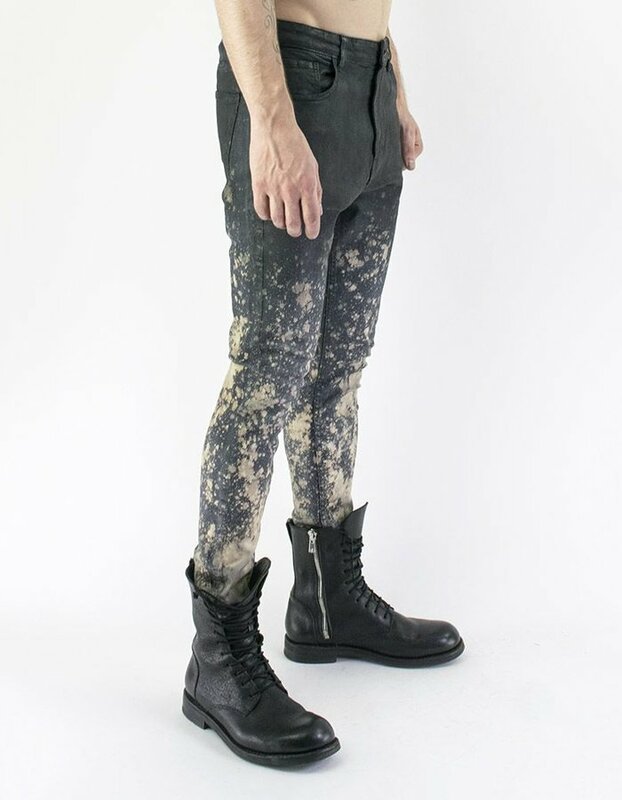 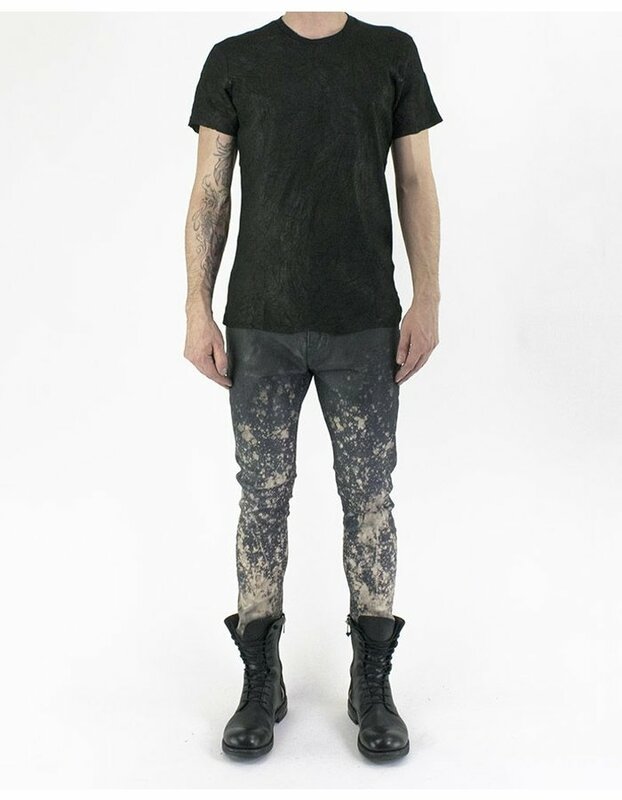 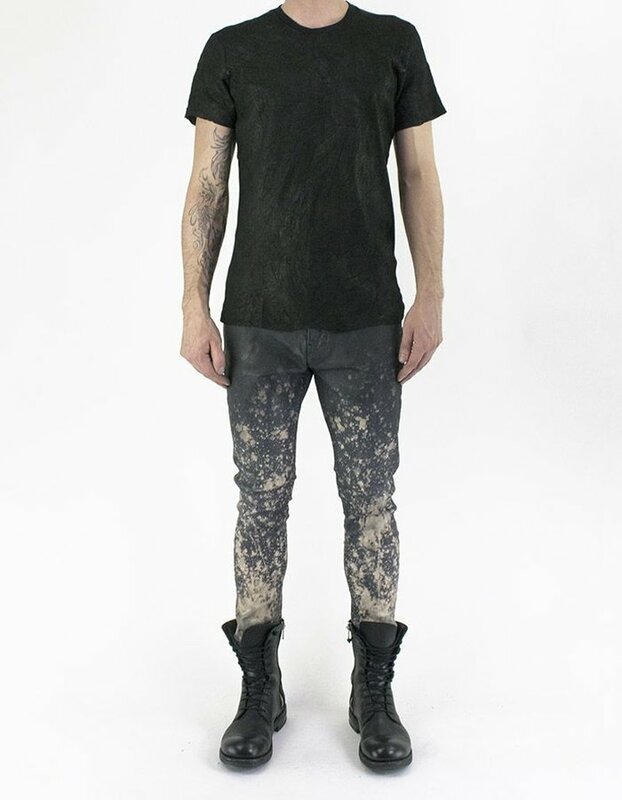 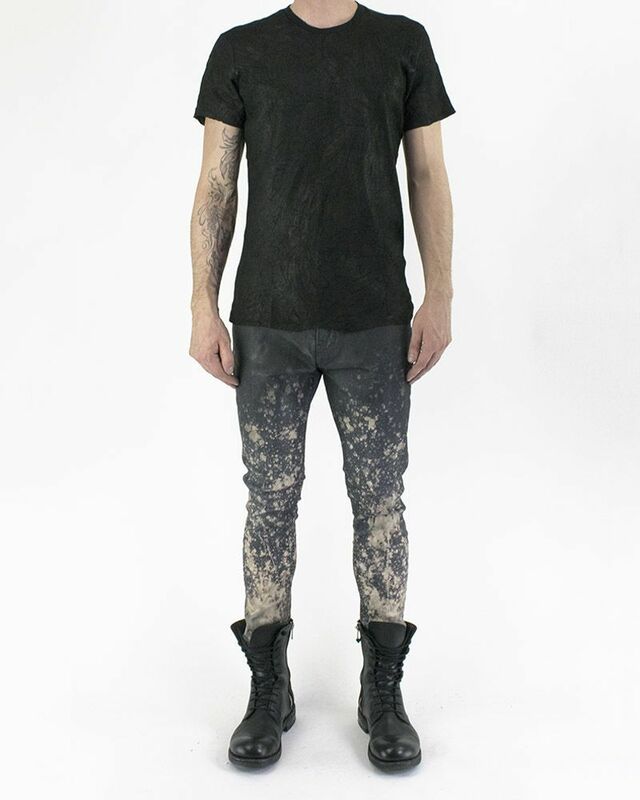 Stretch five pocket skinny jeans in waxed denim, with thermo-sensitive* splatter effect. 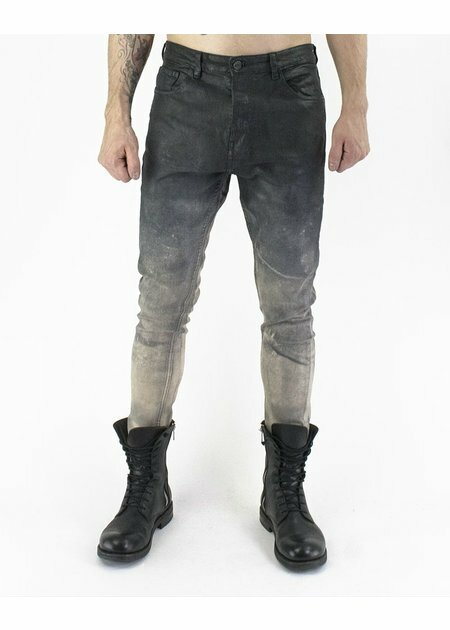 *Denim is subjected to a unique dye that is temperature reactive. 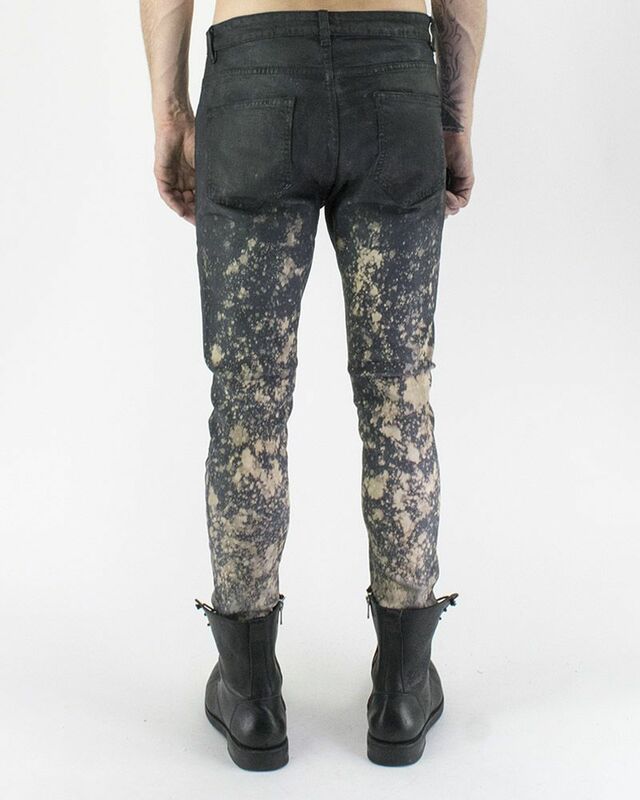 The lower half of the jean is splattered with this dye to create desired pattern. 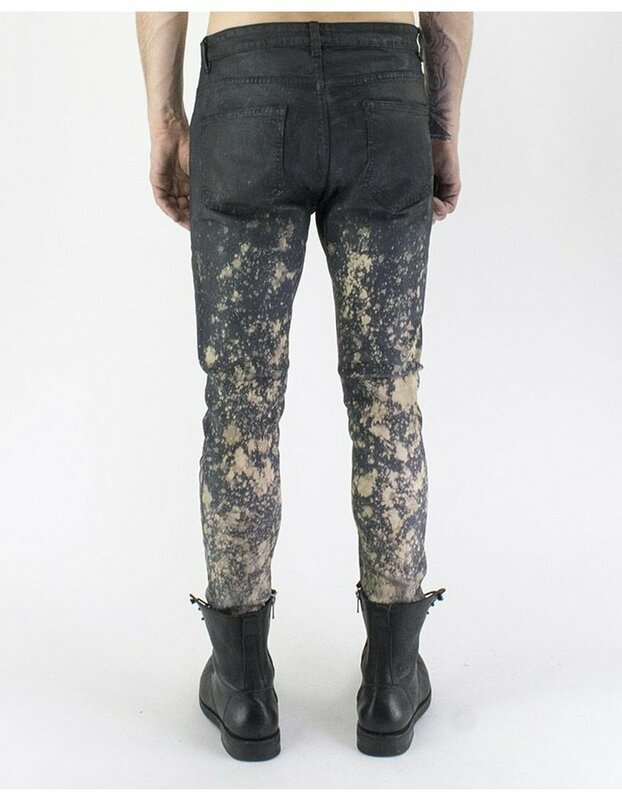 Due to the dying process, some jeans may "turn" differently than others. 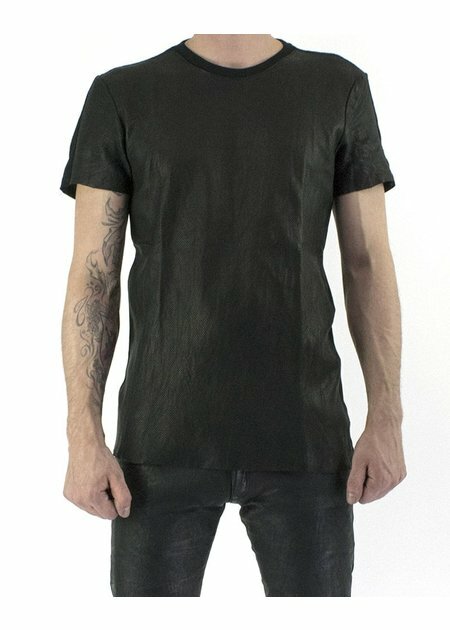 This is not to be seen as a defect but as a part of the design.